A young city that follows the path of the Brisbane River and is full of suprises. 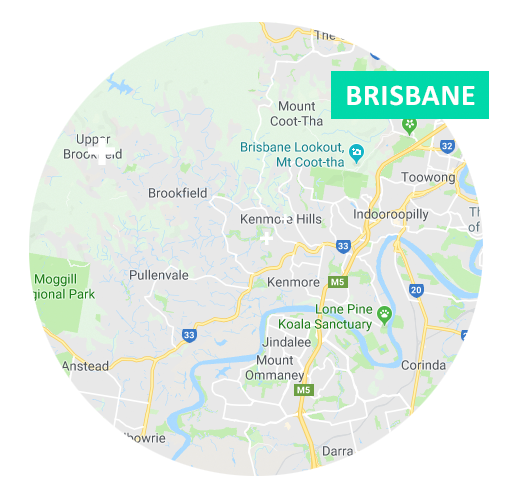 From the inner city to the trendy suburban hubs, Brisbane, Queensland is one of the world's most liveable cities and a great place to start and run a digital business. Read more about Brisbane below. With a population of more than 2.4 million people, Brisbane, the capital of Queensland, is the third largest city in Australia. Queenslander's are known to have a relaxed, easy-going attitude to life and you can attribute this to the huge amount of tropical sunshine we enjoy each year (and yes, perhaps our love of craft beer and a good BBQ has something to do with it too). Well recovered now from the floods in 2011, Brisbane is striving to recover from a mining downturn and build the digital economy and service industry for the future. Brisbane city has seen new apartments built in the CBD and so many new cafe's, clubs and hubs of culture in the inner city that it's hard to keep track. If you are a tourist in Brisbane then make sure to visit the Brisbane Visitors Guide section for the Queensland website here. If you're ever in town we give the thumbs up to the places recommended below. Some world class exhibitions have been featured and there is always something new. We love to have a wander and a glass of wine or two in the foyer bistro. This place has really lifted the art game in Brisbane! This centre for art hosts a fantastic array of performances, exhibitions, gigs and workshops. A meal at the in-house restaurant Bar Alto is a delight after (or before) a show. Check out Watt for breakfast on the river in the morning and take the kids for a play in the spectacular New Farm Park playground which features giant fig trees. Music, art, performance, circus, theatre, indigenous arts, experimental stuff and a whole lot more. Exhibitions, kids activities, workshops, conferences, training and community groups. In the heart of 'The Valley' as we call it. This is the site of Expo 88 turned into a major tourist attraction thanks to a man-made beach, weekend and night time markets and a host of restaurants and regular special events. There's a great lawn to hang out on and some up-market restaurants at the eastern end (towards the Kangaroo Point Cliffs). Hire a bike from City Cycle and take a casual ride right along the Brisbane River boardwalk. These guys are responsible for the new tvc's that promote Brisbane as a 'sleepy little town' (in the best possible way!). Is it raining? is there a storm coming? For the latest on weather in Brisbane check out the Beareau of Meteorology Radar Loop. The current television program for Brisbane can be found on these pages. Flying in or out of Brisbane? You'll find this website useful. Flight info plus duty free shopping and everything for the traveler. Great for Queensland! The council website has a lot of local Brisbane information useful for both residents, visitors and business users. Creative Mode is a Brisbane web design and digital marketing agency owned by Alicia Laing, who provides web designs and online marketing services for Brisbane businesses. Online Marketing & Web Design Brisbane, Queensland, Australia. Building Your Success Online. PO Box 963, Indooroopilly, Queensland, Australia. Phone (07) 3202 5222.